The Air Jordan 6 Low is coming back in a brand new colorway as this “Mint Foam” look will release in a grade school girl’s exclusive on July 8th for $120 USD. 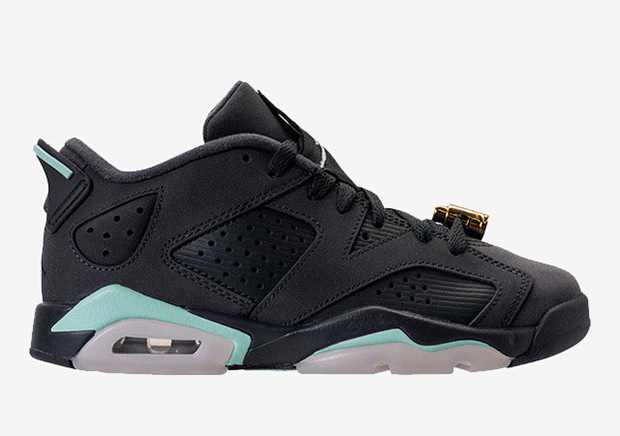 The pair brings back the Jordan 6 Low model after a bit of a hiatus featuring that familiar minty green shade frequently used throughout the girl’s footwear collection while an Anthracite upper contrasts a premium Metallic Gold lace lock. Stay tuned for a detailed look at this brand new colorway in the near future and be sure to look for more of the latest from the Jumpman via our Jordan Release Dates page.